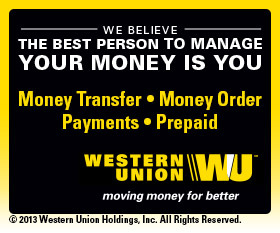 Western Union Money Transfer® services Sending money for a better gift? For a better education? For a better life? Western Union can help make it happen. For you and your loved ones. When you need to send money fast, turn to Western Union. With over 494,000 Agent locations in over 200 countries and territories, you can easily send money to just about anyone, almost anywhere in the world. It’s quick, convenient, reliable and available right here at your local PayDayHawaii. COMING SOON: You can send money online from PayDayHawaii.com with Western Union®. What does that mean to you, our customer? You can now quickly and easily send money globally in minutes. And you have the freedom to choose when, where, and how fast you want to transfer money. • It’s convenient: Use cash or your debit card at any PayDayHawaii location. COMING SOON: You can send money online in addition to visiting one of our convenient locations. Online services are available 24 hours a day. • It’s global: Send money to almost anywhere in the world: Mexico, Japan, Tonga, the Philippines, Samoa, China, Indonesia, Vietnam or even simply here in Hawaii. Depending on the country, you can send money directly to a bank account, a credit or debit card, a mobile phone, or have it ready for payout at the agent or bank of your choice. With over 494,000 Agent locations in over 200 countries and territories, you can easily send money to just about anyone, almost anywhere in the world. It’s quick, convenient, reliable and available right here at your local PayDayHawaii. • It’s fast: Your money can travel the globe in just minutes. Stop in to one of our locations for same day service and send money in a snap. • It’s flexible: Choose where, when, for how much, and how fast you want to transfer money. It’s up to you! 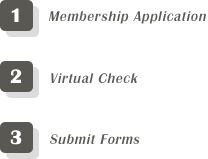 • It’s inexpensive: PayDayHawaii’s money transfer fees are competitive. Fees start at just $5 to send $50 to anywhere in the USA! • It’s useful: Use money transfers for many different reasons: Send money to family or friends; remember special occasions and holidays; pay legal fees; put money on inmate accounts; use for business and real estate transactions; or when you just need to get it there fast. If you need help with the details, or more explanation on how money transfers work, just stop by or call one of our locations and our dedicated staff will help you find the solution that best fits your needs.